I am a really organised type of person. 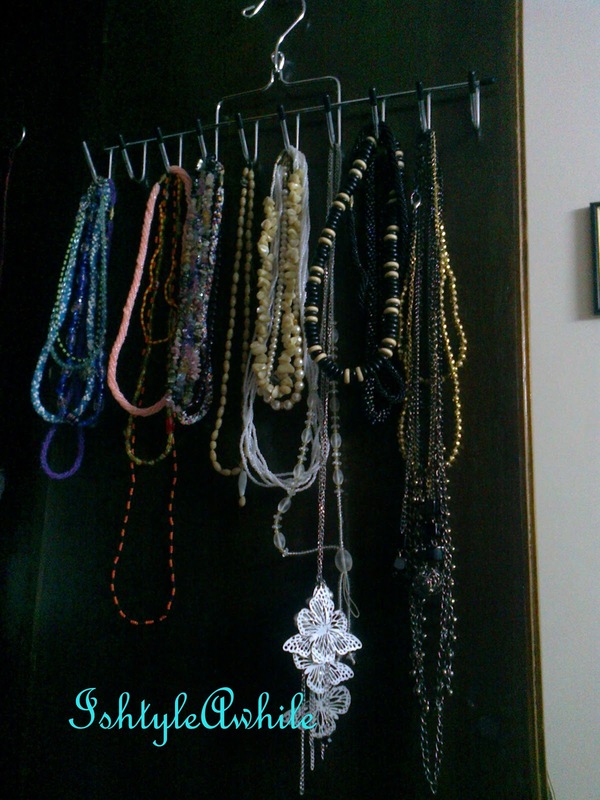 All my jewellery, clothes, books are arranged in a particular way. 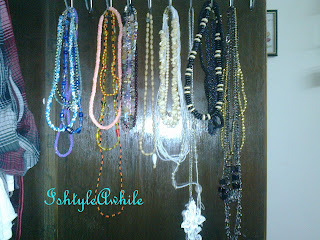 One of the biggest problems I have is that I have limited wardrobe space and less space for storing all my accessories. Another issue is that when I put away the jewellery into boxes, I really don't know what I own and so I don't use so many pieces. 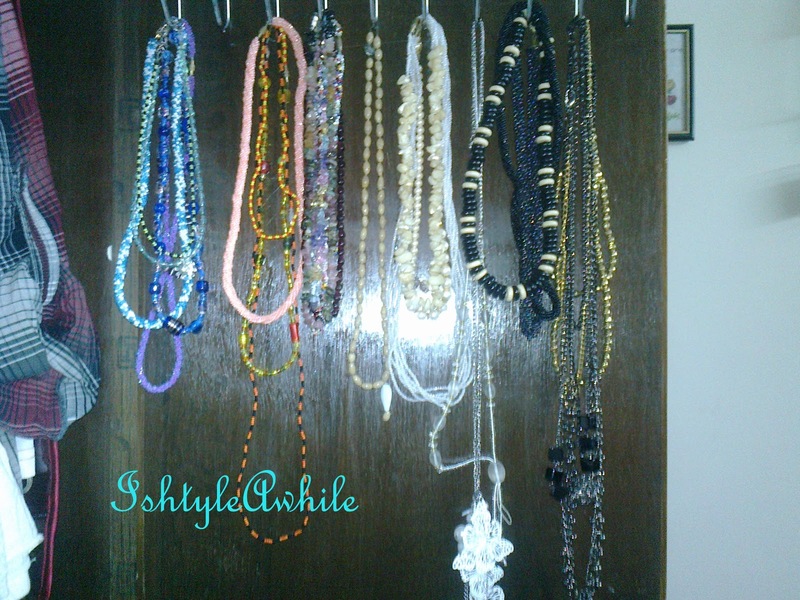 So I have been trying to find different ways to store all my accessories such I can view them and yet keep them safe. Quite a tough task. 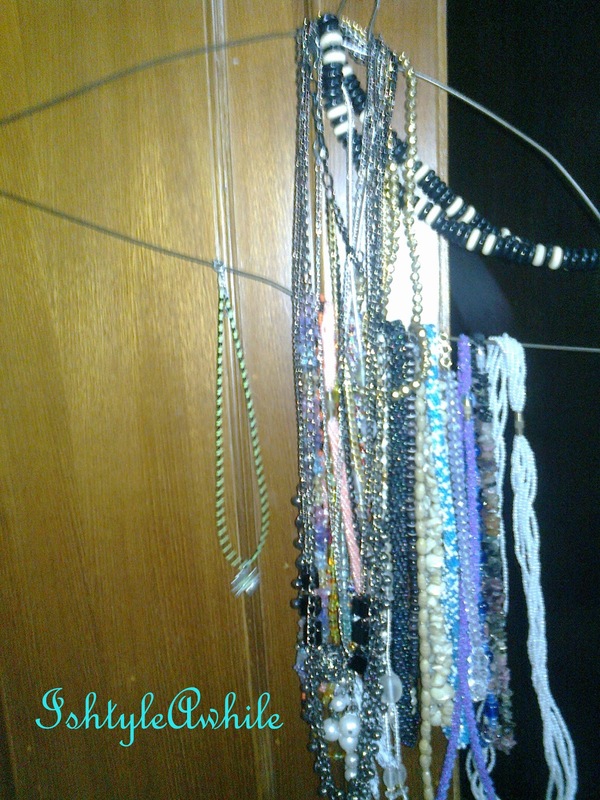 This post focuses mainly on the way I have organised the long chains that I own. 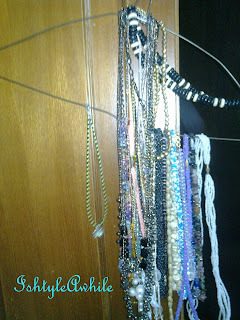 Most of them are beaded, and some are just long chains. 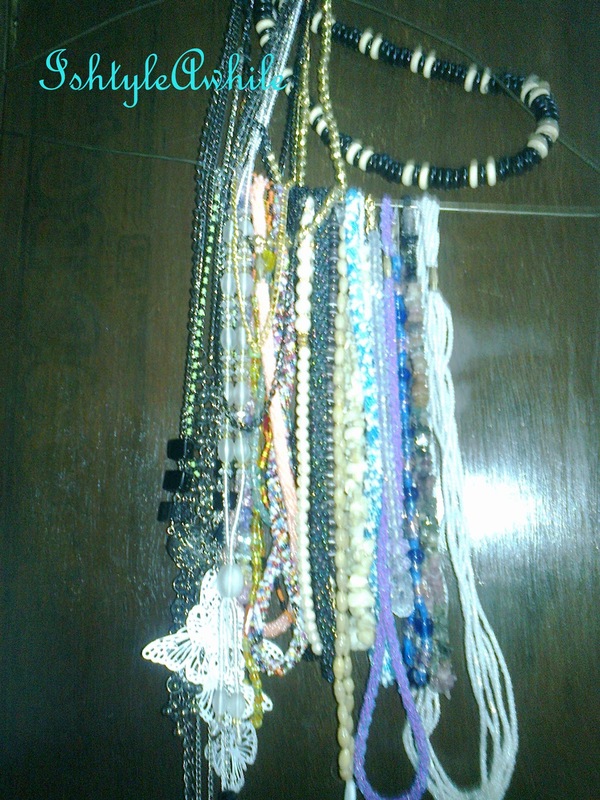 If I keep them in a box, then they get jumbled so I have had to hang them. 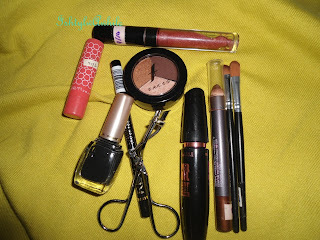 Before I had them just hanging on a hanger. But it was really clumsy and difficult to remove the chain I wanted every time. Then one time I when I went to Lifestyle I saw this belt hanger and I picked it up. It was 110INR or something around that and it is perfect for hanging all the chains. I now have them hanging in VIBGYOR. There are some pics to show you how they were hanging and how they are now. Sorry but the pics were taken on my phone and though it is a 5megapixel the lighting is kind of terrible. Hopefully you should be able to see the colours of the chains. 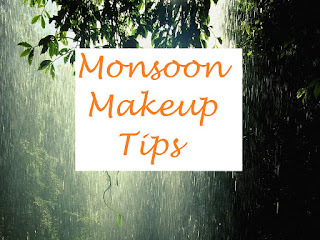 If you like this, I will definitely put up more such posts.